There are a few things that fall behind when you’re writing 12 books in 12 months. One is housework in non-communal areas (all surfaces in our bedroom, including sections of the floor, are strewn with detritus, 75-90% of which is probably mine although it’s hard to get an accurate reading without conducting a proper excavation); and another is eating sensibly. Have you got any idea how difficult it is to plan proper meals when you’re alternately out of work (such is the nature of temping / freelance journalism) and so busy you’ve got things to do falling out of your ears (books, articles, researching those, temping, attempting to have a social life)? I expect most of you probably do, it comes to us all at one point or another. If it’s not book writing it’s working two jobs, or doing a college course part time, or volunteering, or having kids. People juggle an awful lot of different things. All of which exacerbates the problem that planning and paying for sensible meals is unreasonably time consuming, not to mention far more expensive than living on sandwiches. Obviously the pay off is that you look and feel better when you eat vegetables than when you subsist entirely on toast, but sometimes you do wonder if it’s worth it. If you’re making a sandwich for lunch, you butter two bits of bread (although some people even skip that formality), stick a filling in and bam, you’re done. Meanwhile if you faff around making a salad, you have to locate lots of different packages (if you want to make it a viable every day thing, at any rate – in my experience untouched leaves get boring very quickly), chop things up, dress them, whatever. It can take 20-30 minutes if, frinstance, you’re doing a salad with egg mayo, what with all the boiling and cooling and peeling that goes on. And I can’t help thinking I could be writing 1000 words of a book in that space of time. Evening meals are the worst, of course. If my best beloved requests sausage casserole, which has been known to happen, I can be 2-3 hours putting that together (the first hour for chopping and peeling the squash for the topping – those are contrary vegetables). Don’t get me wrong, I wouldn’t do it on the last day of the month when I still had 10k to write… but it does eat into the day somewhat. Whereas if we were having beans on toast, that’d be ten minutes tops. It’s not just prep time of the actual food either – you have to work out what you’re going to have in advance and go to the shop and buy it all (assuming they have it) and then find space in your overcrowded, asthmatic fridge to store it. Whereas if you’re just getting a loaf of bread and a block of cheese, you’re laughing. Course that may be related to the malnutrition, who knows. I appreciate there is nothing to be done about this situation, but what are blogs for if not discussing the injustice of it all? I yearn for the days where I have a butler and a cook to worry about all this sort of stuff for me. Assuming women are allowed to have butlers – what’s the etiquette there? Do tell. 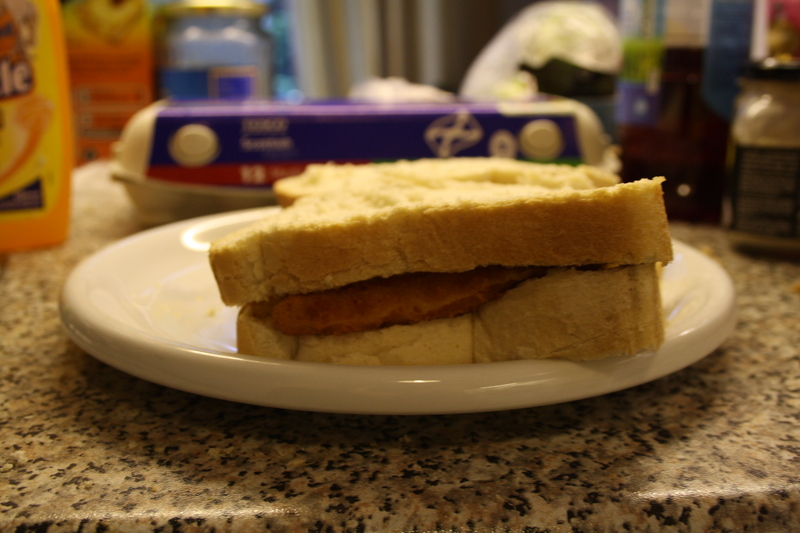 Anyway, we’re having fish finger sandwiches for tea because I’m really behind on book six. So there.